The holidays can definitely be stressful but there are moments of joy to be found, especially when you find that perfect gift for a friend or loved one and you know they will love it (but keep the gift receipt just in case they don’t!). Over the past year, I have enjoyed sharing so many of my favorite brands and designers on my digital diary. Curating this Holiday Gift Guide has been especially fun. My goal is to help you find the perfect gift and make your shopping as effortless as humanly possible during this hectic time of year. I've carefully selected items that I find first and foremost, CHIC. There are a range of price points to accommodate different budgets as well as options for the various types of people in our lives. I hope you will find something you love as well. Thank you for your trust and wishing you a very happy (and stressless) holiday shopping season! From Kilian's new My Kind of Love collection, Princess is my latest fragrance obsession. Considered a “gourmand” scent with notes of ginger, green tea, and marshmallow, you pretty much want to eat alive anyone who wears it. It’s like a delicious dessert for your senses. Let’s face it, we all need moments of calm wherever we can find them during the holidays. 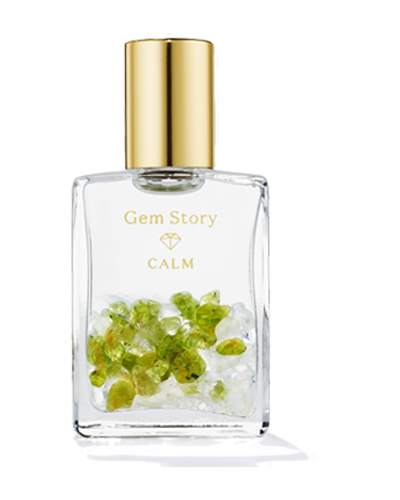 Paige Novick’s new Calm Gem Story Oil does exactly that through a soothing infusion of peridot, Ethiopian opal, and quartz crystals scented with therapeutic grade grapefruit and ylang ylang essential oil. Take a few minutes each morning to dab it on and help channel, focus and harness your energy for the holiday madness that inevitably always ensues. It's hard to splurge on luxury haircare for yourself but this Philip B Russian Amber Shampoo is the perfect gift for those beauty lovers in your life. Not only does it improve your hair’s texture and shine, but with densely packed proteins, a little bit goes a long way. I may just buy two and stuff one in my own stocking…don’t tell! 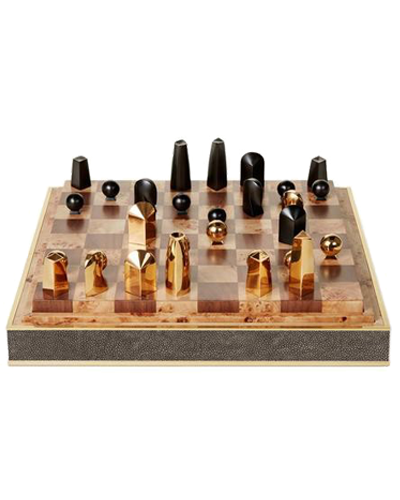 For your chess player or anyone who wants to learn, this set is above and beyond. It's housed in a luxurious shagreen box with brass detailing and pieces cast in zinc, one in black and one with a gold-plated finish. Perfect for cold winter days sitting by a fire. If you know someone who loves jewelry as much as I do, this new book by Stellene Volandes, jewelry expert and Editor-in-Chief at Town & Country magazine, is a must-have gift. Profiling 17 accomplished designers, this book is one you actually want to read and prominently display on your coffee table. For adults only, this stunning black obsidian pipe is a standout item not only for its beauty but for the healing properties of the crystal itself. I love it combined with the Golden Dual Arc electric lighter for the ultimate "buzzworthy” gifting experience (pun intended). With design inspired by the ironwork found in the towns of Andalusia, Spain, I’ve always loved this Hermès pattern for its bold color and style. Sold as a set, this tea cup and saucer are the perfect service for one and solitary moments of serenity. When you know a good night of rest is needed, look no further than this Olivia Von Halle silk eye mask. Perfect for anyone who travels a lot or simply wants to block out those around them at holiday time or any time of year for that matter. A recent discovery, these glam velvet and jeweled slippers can also be worn as shoes, making chic and comfy no longer an inexistent notion of the past! Another recent discovery coming out of Denmark, I literally want to buy these Charlotte Lebeck earrings for all my friends. Made of 18k gold-plated silver and freshwater pearl, they swing from your ear effortlessly thanks to their lightweight nature and look beyond stylish in the process. My favorite new jewelry brand, this Santo by Zani 18k gold sphere is set with 24 diamonds on the outside which unhinge from the top, revealing a hidden pave letter charm. The walls inside are hand painted with translucent red enamel making it feel like a little treasure that has just been unearthed in time for Christmas. The collaboration of the year in my book. Luxury perfume brand KILIAN teamed up with celebrated Parisian jewelry designer Elie Top on this uber chic collection of scented jewelry. With porous ceramic stones tucked inside each piece, you simply spray the ceramic with your favorite KILIAN fragrance which then emanates through the jewelry itself. Innovative, thoughtful and luxe, this limited edition collection creates a new way to wear and layer your favorite KILIAN fragrance. An obvious choice for any holiday celebration, you simply cannot go wrong gifting someone a bottle of champagne unless they don’t drink of course. For those who do, drink responsibly and enjoy! Staying on theme, keep your champagne bottle cold in this Art Deco-inspired brass bottle chiller brought to you by Fete Home, the most sophisticated new home decor brand to hit the market in as long as I can remember. The definition of FUN, this set of ten champagne glasses are designed to be stacked in a tower allowing the champagne to cascade from layer to layer. Designed to hold one magnum or two standard bottles, someone please offer this to ME as my next holiday party gift. Obsessed!